I was just about to throw away the gift box my pajama set came in when DIY inspiration struck: why not turn it into a display box for my sunglasses? They actually have gorgeous handmade wooden display boxes (you've probably seen them on Instagram), but they can go for a few hundred (!) bucks. I really like the concept though and thought it'd be nice to have a pretty box to show off a few of my favorite pairs, rather than just keeping them scattered in a plastic cubby next to my bed (oops). Foam Padding/Craft Foam Sheet - I used a foam sheet that's 3/8 inch thick (it was actually the packing material in a package I received). Cut the foam sheet to fit inside the box. To make the "hump", cut a separate piece of foam: 2 inches wide x length of the box. Fold it in half and glue the edges down the center so that there's a rounded bump for the sunglasses to rest on. Carefully glue the fabric to the foam, making sure to press and mold it in small sections. The fabric should cover the top and sides of the foam completely. Fold the excess edges of the fabric around the foam, and glue them down so that they don't unravel and are out of sight. 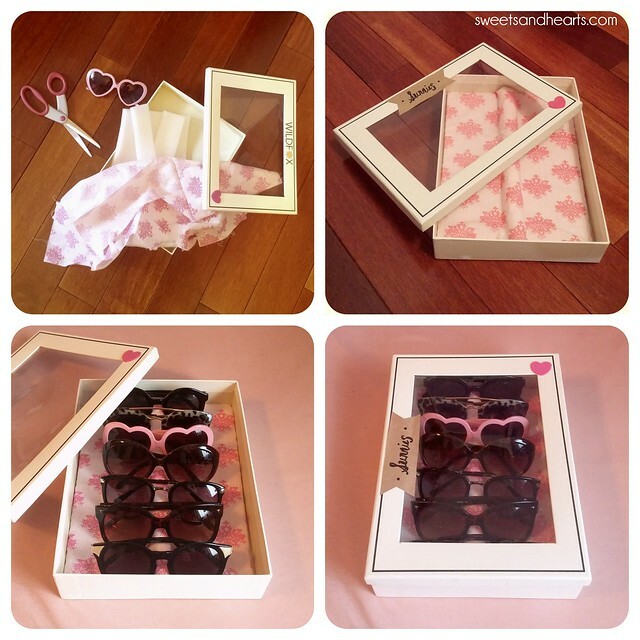 Set the fabric covered foam piece inside the box and place your sunglasses inside and ta-da! 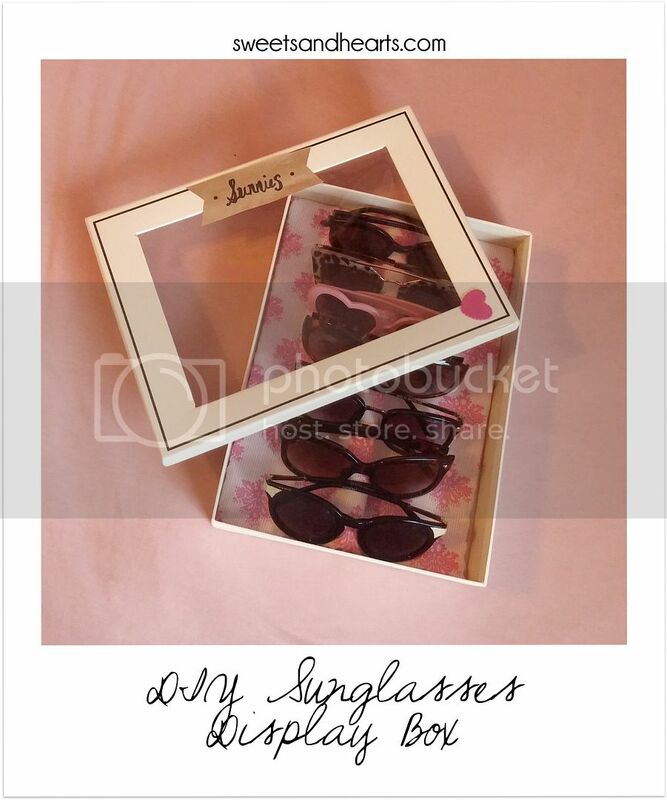 Instant sunglasses display box! 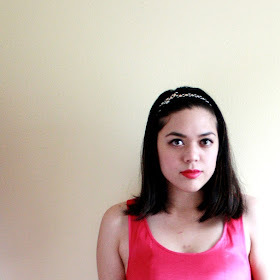 I used a cardboard pajama set gift box from Wildfox (it has a built-in cellophane window). You can easily use a shoe box or any other small cardboard box so long as it can fit a few pairs of sunglasses. It doesn't have to have the window, but it does look nice. If yours doesn't have one and you're feeling extra crafty, try cutting one out with an x-acto knife and glue a plastic sheet on the interior. If your box is ugly, covered in logos, or you just want to personalize it, try decoupaging, using stickers, or covering it in scrapbooking paper, fabric, or giftwrap. Mine had a logo, so I covered it with a small label made from a paper grocery bag. Look at your pretty sunnies all lined up in a row. Doesn't it feel nice to be organized?